When you’re buying materials for your next building project, remember that you aren’t limited to the brands offered at your local home improvement store. If you’re willing to work with a wholesaler and have the merchandise shipped, you can save a great deal of money on merchandise that looks just as attractive and is the same quality or even more durable. 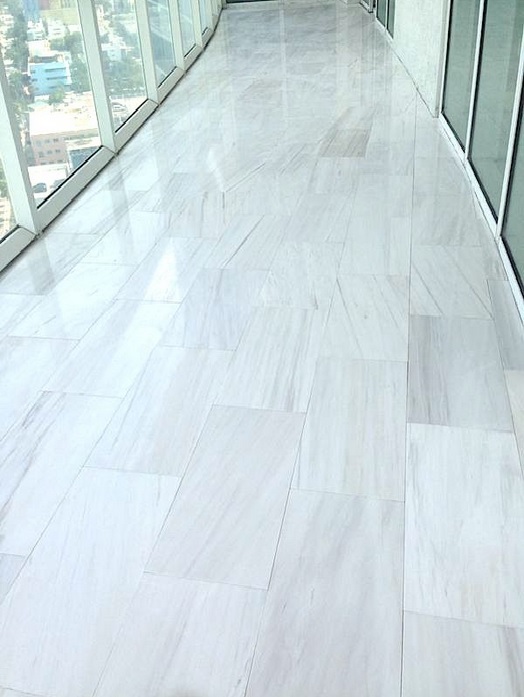 Nalboor is pleased to ship products throughout the nation and even into the Caribbean, so it’s easy for you to get the look of Italian marble without having to pay the high prices. Italian marble comes in a range of shades, and you can find your favorite colors at Nalboor. You can add shades of tan, white, ivory or even red to the finished project, but you don’t have to pay the higher rates for Italian marble. We offer Bianco Dolomiti when you need a pure white finish, or achieve the lovely burgundy shade with Rojo Alicante. In tan colors, we carry Adalia Cappuccino. You’ll have the flexibility of color choice while saving a great deal of money on the raw materials. When it’s time to order beautiful marble, you want to go with a reputable supplier that will provide you with quality merchandise. The secret lies not in the marble but in the manufacturing process. Craftsmen must pay close attention to detail in order to safely cut the stones and meticulously finish the edges. Great care must be taken to maintain the structural stability of the stone while creating the desired size. Our professionals take pride in finishing stones that are consistent in size and texture so that you can enjoy the perfect finished look on your project. You’ll receive this impressive high quality despite paying low wholesale prices. You cannot count on receiving durable, quality stones with other retailers, but you can count on us for superior tiles that can be used in a range of different applications. Marble has a good deal of weight behind it. You may not realize that when you’re holding one tile in your hand, but enough tile to finish a large project can put a serious strain on your vehicles. When you walk into your local store and pay full retail prices for Italian marble, you still have to get the tiles through the checkout, load them in the car, and then unload them at your home or job site. With our service, all you have to do is make one easy phone call. We have contracts with national shipping companies, so we’re able to provide you with quick responses and timely shipments. The products can be delivered to your home or your worksite, which means you can save time and money on picking them up and getting them to the construction area. One of the challenges with local suppliers is that they don’t always have trained professionals on staff. You’re expected to find the merchandise you need, load it up and then transport it. While you may find someone to check inventory levels, you may not find a knowledgeable person who can help you with color choices and answering other important questions. When you choose to work with Nalboor, you can count on receiving excellent service and personal attention. Our friendly professionals will answer your questions, help you choose the right products and work with you throughout the ordering process. We pay close attention to detail with every order to ensure that you receive the products you need, and we’ll be here to assist you if you have any problems or concerns with the delivery. When it comes to Italian marble, you may be limited to working with suppliers who can only provide you with what they’re able to order. While this may work in most applications, there are bound to be situations where you need different dimensions. We offer custom manufacturing options so that you can get your tiles cut to your exact specifications. While we do need a few weeks to fill a custom order, you can expect to receive the same excellent quality and wholesale pricing when you work with our specialists. Our manufacturing teams take pride in their work, and they’ll work diligently to custom cut stones that are consistent in finish, perfectly sized and ready for installation. We can customize our regular selection to help you save time and money when it’s time to install the tiles. One of the challenges with ordering Italian marble from other suppliers is that you can pay high costs without knowing how stringent the quality control standards are. This is because the merchandise passes hands numerous times before arriving at the final retail site. We offer a slightly different service because we own our quarries and manufacturing centers. From the moment the stones are scouted and quarried, we’re able to maintain higher standards on quality control. We also strive to keep costs down along the way, and then we pass those savings on to our customers. You’ll get the benefits of wholesale pricing along with the quality control that you need. Making the decision to put marble floors in a foyer or finish a bathroom in stunning marble is easy. Choosing the exact color and manufacturer can be a little harder. You want to work with a supplier that will provide you with quality service and materials, and you can count on Nalboor for this. Contact us today to see how much money you can save and discover why people all around the country trust us when they want quality marble at attractive prices.